Spire Healthcare met with Councillors and Parish Councillors recently for a preview of the latest draft of their plans. They are planning a private hospital and 140 homes to be built on the fields on Kents Hill off Timbold Drive. The woodland strip between that and the existing homes will stay, but they wanted part of it as private space behind the hospital. (Techically it’s private now apart from the bit the Parks Trust own.) We told them that most residents wanted public access to the woodland. The hospital will be a private hospital, which means that they plan it as a separate business, not as an integral part of local health care, but they do hope to take some patients under contracts from MK General Hospital. They wouldn’t comment on how many. They will have a critical care department, but they will not take in emergency cases so there should be no ambulances with sirens. The hospital building will be in the area shown on our last Focus leaflet, and will be three storeys high, set down the slope a bit so that it’s no higher than the houses behind. It will have its own car park. The housing will be 2-3 storeys. There will be a shop and play areas. They are intending to hold a public exhibition/meeting as soon as they have finished checking their plans, in September. We were given the probable date of the evening of Sept. 21st, but we don’t have any details or confirmation yet. We will update this website when we hear. They then hope to put the planning application in a couple of weeks after the public meeting, once they’ve made any changes from the consultation. The application will be a full application for the hospital, and an outline application for the housing – saying how many homes, shops, etc, will be where, and where the access will be, so that traffic issues can be assessed. All other details of the housing will be reserved to be decided later. That application will be on MK Council’s website for public comments, before being decided, and they hope that work will start on the hospital in spring 2018. After that, probably autumn 2018, they will put a “reserved matters” application in with the details of the housing. That will then go onto MK Council’s website for public comment, before a decision is made on that. In the meantime, the Government Inspector has examined the policy to put a mix of the hospital and housing on the site. His report won’t come for several weeks, but he appeared to be content with the policy. Many people locally can’t register for a GP or NHS Dentist, or have to wait ages for appointments. The Focus team is calling on NHS England to make more provision available either in Monkston ward, or on the estates immediately next to our homes. Walnut Tree surgery to get help to shorten GP waiting times – for those who’ve been able to register there! We know there are hundreds, if not thousands, of local people, particularly in Monkston, Monkston Park, Kents Hill and Walton Grange, who have not been able to register at either Walnut Tree or MK Village. This means drastically increased journeys for them, with no direct bus, when they are ill.
We have to keep the pressure up on this! We will be taking your complaints to meetings of the MK Health and Wellbeing Board, so please get lots of signatures! Cllrs Subhan Shafiq and Jenni Ferrans met Cabinet Minister Norman Lamb to discuss a GP for Walton Grange. 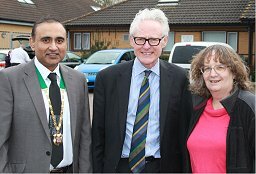 Cllrs Subhan Shafiq and Jenni Ferrans met Lib Dem Health Minister, Norman Lamb, to report the problems people in Walton Grange have as they are not allowed to register with their local Walnut Tree GP. 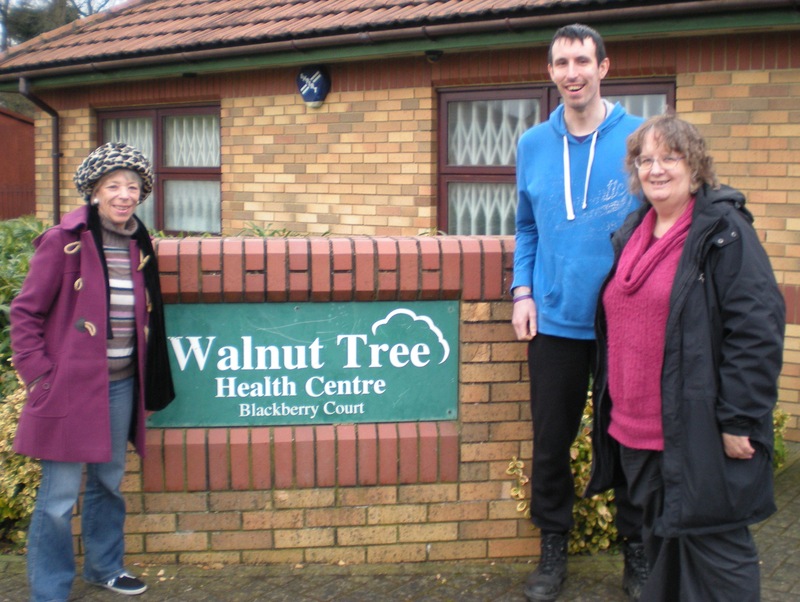 Walnut Tree GP Surgery are prepared to extend to take them – but only if NHS England will award them the funding they need. So far NHS England have not agreed. The Focus Team are continuing the campaign. Residents of Walton Grange have been telling the Lib Dem Focus team about the problem of not being able to register with the local Walnut Tree GPs. They are being referred to GPs two buses and a long walk away! Jenni Ferrans and Vanessa McPake have met with NHS England and with the Health Centre. They reminded NHS England that money was available from building Walton Grange to expand health services. They are all going away to have meetings and think about it! The Lib Dems think this is a poor show, they should have sorted out how the local GPs could take on local Walton Grange residents before the houses were even built! They have had years to sort this out! The Focus team will keep you posted.